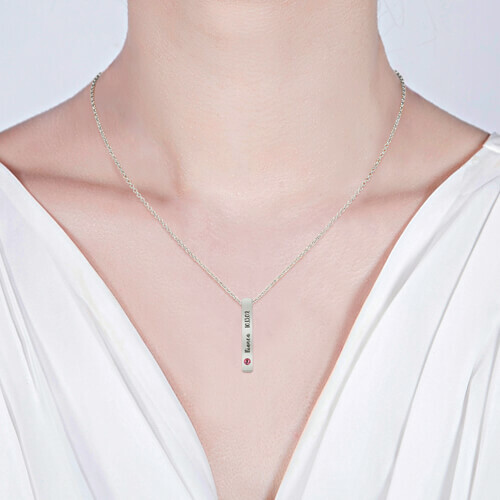 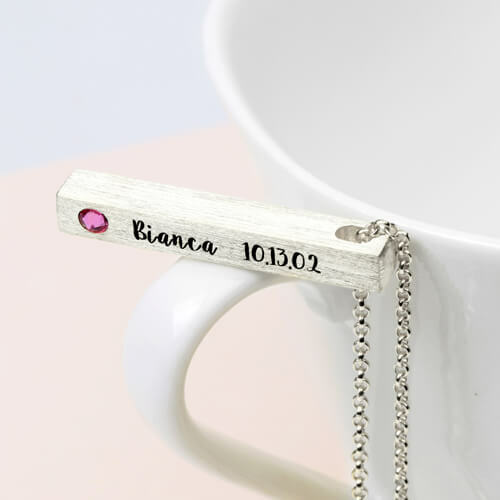 When you're looking for a gift that's extra special, this 4 sided bar necklace is the perfect personalized piece.You can choose the birthstone you would like placed on the bar from the popular twelve birthstones. Engrave your significant others names or engrave your first and last name. 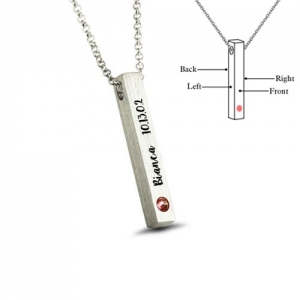 The more creative you are with the engraving, the more personalized this birthstone tag necklace will be to you!